Abstract: Urinary dopamine fluctuations in the competitive inhibition state were first documented in 2009. 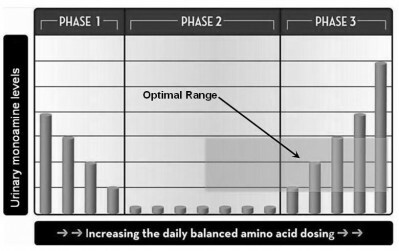 At that time, it was noted that progressively higher daily dosing values of L-tyrosine decreased the magnitude of these fluctuations. While extensive statistical analysis has been performed by the authors since 2004, it was not until 2012 that a plausible explanation was formulated. In the process, correlations with L-tyrosine administration and the on/off effect of Parkinson’s disease were defined. This paper documents the current knowledge with regard to the management of retrograde phase 1 dopamine fluctuations and investigates the hypothesis that they are caused by a melanin steal phenomenon.